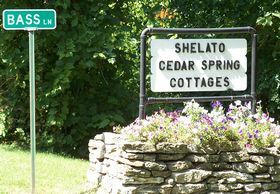 Welcome to Cedar Springs Vacation Cottage Rentals! 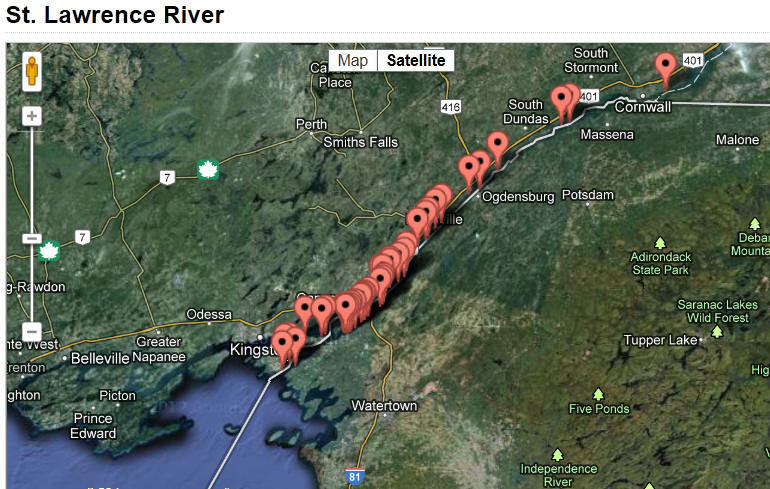 Vacation with us on the banks of the St. Lawrence River in Morristown, New York. Looking over the Thousand Islands area, our 200 feet of water frontage and two secluded acres of land give vacationers room to relax. 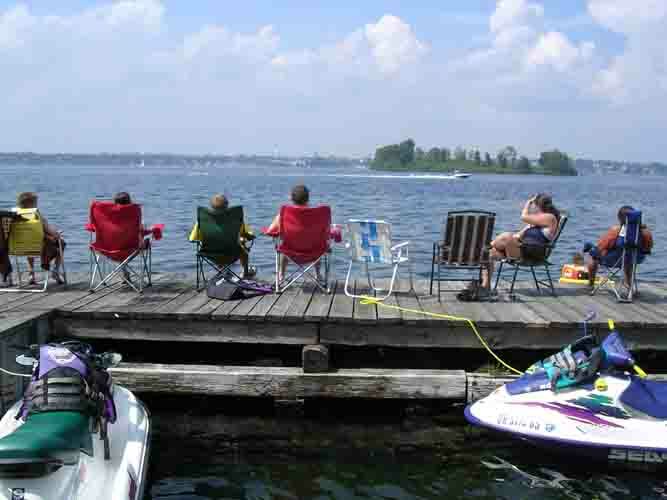 Or, for the more adventurous, our docks offer the opportunity to experience the river's thrills! The docks offer room for housing boats and jet skis, and the clear water is home to abundant wildlife - perfect for snorkeling, diving, and swimming! At night, land-lovers can join around our campfire pits and look out through the clear sky for stargazing. The property looks across the river to Old Man Island and the city of Brockville, Ontario. Many of our visitors enjoy a 5 minute boat ride in the morning to this bustling city for breakfast and shopping. If you plan on staying in the states, some local attractions include Morristown, NY, the Akwesasne Mohawk Casino, shopping and tourism activities in Alexandria Bay, Clayton, as well as abundant tour-rides of the historical hot-spots of the Thousand Islands! The property is home to modern cottages we call Cottage 3, Cottage 5, and Cottage 7. 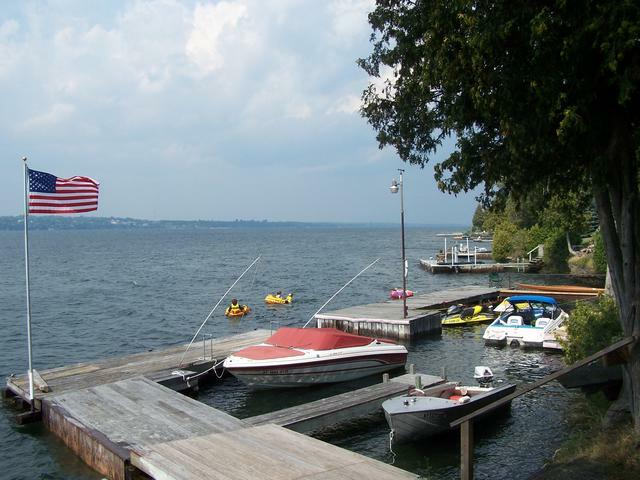 Cottage 5 is leased seasonally, cottages 3 and 7 are available for weekly rentals. 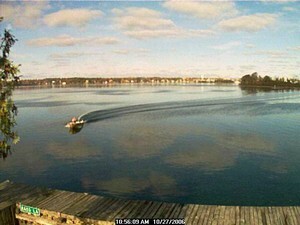 Off season, the cottages are available to fishing groups and leaf peepers. Cottage 3 has one bath, a kitchen, and 2 bedrooms. Cottage 5 has one bath, a kitchen, and 2 bedrooms. Cottage 7 is newly renovated. Cottage 7 has common kitchen and living area, bath, and a single bedroom. Cottages are air conditioned and have sattelite TV. More information can be found on each by clicking the links below or through the "Cottage Information" tab at the top of the page. Spotlight Property! (on left) Welcome to the docks! We love our sturdy docks, visitors can house up to 2 boats and 4 jet skis all at once, and are a great place for children and adults to go snorkeling, swimming, or scuba diving. The kids will love fishing off the docks! See more of the docks here. We've kept two boats and four jets skis here.